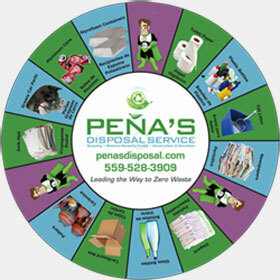 Peña’s – Recycling Done The Right Way! Peña’s Disposal sponsored the creation of a Recycling exhibit at the International Agri-Center AgVentures Museum in Tulare. This exhibits teaches participants about recycling.